Column lets you customize your shower with a rainhead and handshower. Rainhead, handshower, and shower hose are sold separately to allow for customized decor. 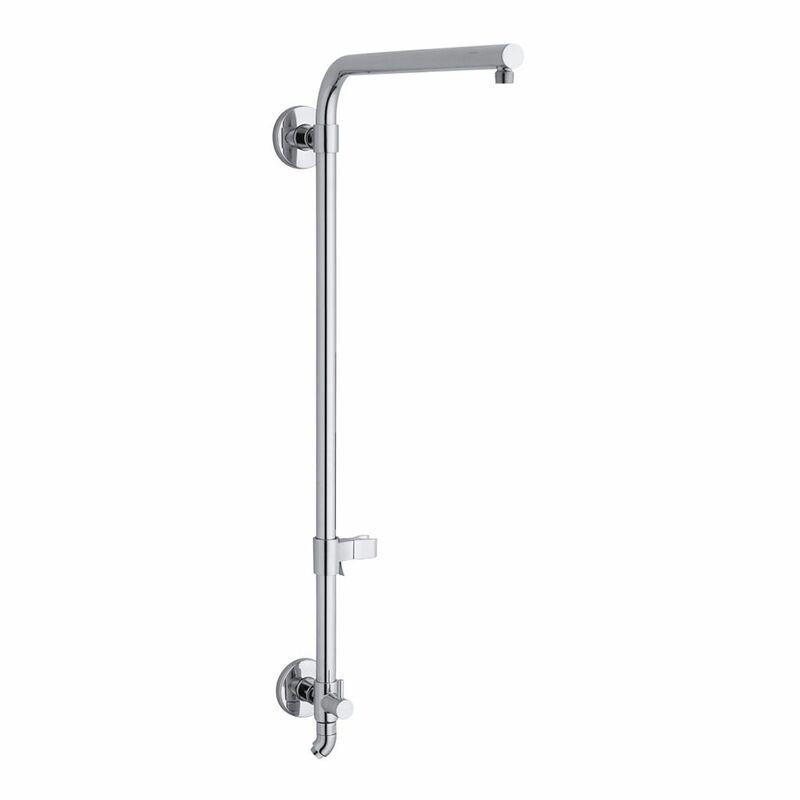 For use in bath and shower installations with beam showerarm for reduced ceiling height. This MasterShower handshower puts three distinct, invigorating sprays in the palm of your hand. Simply turn the outer ring to switch sprays for a rejuvenating shower experience. The wide pulse spray envelops and revitalizes, while the wide strong spray delivers an all-over deep body massage. The concentrated pulse spray helps ease aches and pains in targeted areas of your body. Hydrorail Bath/Shower Column For Beam Shower Arm In Polished Chrome HydroRail-R allows you to easily upgrade a standard shower to a spa-like showering experience with luxurious overhead rain and handshower functionality. It's designed to accommodate a wide array of bath/shower configurations without altering in-wall plumbing, making it suitable for both remodels and new construction. This bath/shower column converts your single-outlet showerhead into a two-outlet custom showering experience, and has a slidebar bracket for easy height and angle adjustments to your handshower. For smooth toggling between handshower and rainhead functions, this column features a diverter conveniently located at the base.